How is an Attorney Paid in a Homeowners’ Insurance Case? Most attorneys collect legal fees on a contingency basis for homeowners’ insurance claims. A contingency fee means that your attorney only gets paid if they win your case. 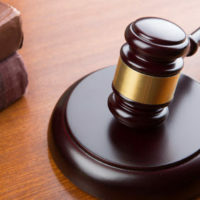 Their fee is usually one third of the settlement (according to the American Bar Association), or up to 40 percent if the case goes to trial in a lawsuit, but if they fail to deliver, you do not owe anything. However, under Fla. Stat. 627.428(1), the insurance company may have to pay the homeowners’ attorney’s fees, which saves the consumer money. How Much Can I Expect to Win in a Lawsuit? The determination and experience of your attorney. The type of homeowners’ insurance policy that you have is of great importance. Your attorney needs to know how to maximize the amount of money that your insurance company pays, and to do that they need to have intimate knowledge about your policy and its limits. For example, do you have a replacement cost or actual cash value policy? A replacement-cost policy would give you the money it would cost to replace your five-year-old laptop with a new one, whereas an actual cash value policy would give you the cash value of what your laptop was worth at the time of loss, which would probably be much lower than the cost of buying a new one. Reaching your policy limit may be another obstacle to receiving full damage payment. However, an extended and guaranteed replacement cost policy may force your insurer to pay more than the policy limit in some cases. Other types of policies may depend on the type of home you own. If your mobile home was destroyed, you may only be able to receive the stated amount that you agreed to when the policy was issued, according to the Insurance Information Institute. It is highly recommended to work with an attorney to maximize your recovery. Please feel free to reach out to the West Palm Beach law offices of the Celeste Law Firm today to get started on your homeowners’ insurance claim at once.